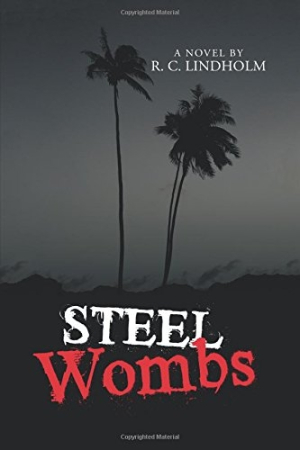 Steel Wombs is a thrilling mystery and romance highlighting morality problems that do not have objective answers. Steel Wombs, by R. C. Lindholm, is a gripping novel that’s as much a thriller as it is a romance. Well-developed characters and distinct locations drive this story of intrigue, love, and murder. Cal is a retired geology professor whose life is altered drastically when he takes a consulting job in Sweden at the request of his longtime colleague, Mark. When they venture to the Absolut factory in Ahus, Cal meets Dr. Inga Rundstrom, who needs the help of someone with Mark’s professional background. Dr. Rundstrom, a beautiful and mysterious immunologist, has grown weary of the laboratory that she currently works for, and asks Cal to accompany her in order get a second opinion. But even before they venture to lab, they become aware that they are being followed, and their very lives could be in danger. Steel Wombs effectively deals with struggles of morality and presents them in a mostly objective way, as when characters are forced to decide if the medical breakthroughs being produced by a company justify the shady practices they used to make it. Such problems are addressed with true-to-life ambiguity. Though a thriller, the novel also contains genuinely heartwarming and romantic moments between its characters. Although such turns detract from the larger mystery, they are often a welcome distraction. Dialogue is hilarious at times. This novel builds suspense slowly. At first, the characters are aware when things are askew or out of place, though they brush such realizations off as matters of odd coincidence. As the story goes on, the narrative reveals that everything is not as it seems. Midway through, the pace picks up and action becomes continuous. This is one of the strengths of the book, as the pacing follows the tension that the characters are feeling. Vivid, interesting locations, from Sweden to Mexico, from crystal mines to secret labs, dot the story and help to keep the action moving. Additionally, parts of this book are downright funny, as each character has their own developed sense of humor that they showcase throughout the book. This helps to disrupt the serious tone of the novel with a bit of lightheartedness and is done in a way that doesn’t become cheesy or stale.